NBG was established in 1990 to manufacture Web Offset Printing Presses. » Prior to 1990, the founders were into manufacturing of critical parts for Web Offset Presses like plate & Blanket Cylinders, etc. for almost 10 years. » An ISO 9001:2001 Certified Company. » Entire focus on our core product “WEB OFFSET PRESSES” which are tailor – made / customized to meet the printing requirements of customers. » A Young and Dynamic Management Team. 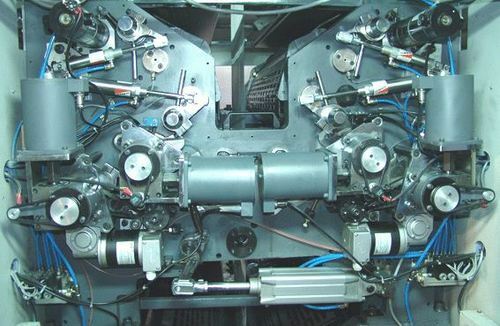 » Well established and equipped manufacturing facilities including CNC Machining Centers for all Critical Components of Presses such as Side Frames, Cylinders, Plate & Blanket Cylinder Sleeves, etc. » Product with CE marking available. » A healthy domestic market with pan India presence with orders from major regional newspapers & publishing houses. » An ever growing export market spanning the continents of Asia, Europe, Africa, CIS and Russia.